By practicing nonviolence with ourselves, we begin to see how it might apply toward others. Each personal practice can be turned into a practice toward another. Try it. Environmentalist John Muir said, “Everybody needs beauty as well as bread, places to play in and pray in, where Nature may heal and cheer and give strength to body and soul.” Today, go for a walk and realize the beauty around, above and below you. On her show Oprah Winfrey frequently promotes the daily practice of gratitude. Begin the day by listing five things for which you are grateful and end it by sharing with one person all of the good in your life today. Do the right thing. Spike Lee used these words as a title for one of his movies. When faced with a choice today, listen to your conscience. You know what’s right. Do it. Civil rights activist Diane Nash said, “Freedom, by definition, is people realizing that they are their own leaders.” Take a leadership role today in your own life. Find one way you can be more expressive of who you truly are. “Resentment, fear, criticism, and guilt cause more problems than anything else,” says Louise Hay. Today, choose not to judge yourself (your looks, your capabilities, your expressions). See all the ways you are unique, loving, capable and bright! When you judge yourself, you tend to believe that who you are is what you have or don’t have. Knowing that who you are is greater than all these things, today, forgive yourself for forgetting the good that is in you. Think of at least two people who exemplify for you the practice of nonviolence. What is it you admire about them? Practice these behaviors today so that other people may be inspired. Nonviolence begins with learning how to be less violent and more compassionate towards ourselves. We learn by building the courage to speak and act with respect, honor and reverence for our own being. Eleanor Roosevelt has urged, “You must do the things that you think you cannot do.” Practicing these 64 Ways will challenge you to do things that you think you cannot do. Today, light a candle and accept the courage to practice 64 Ways of living nonviolently. Buddhist teacher Thich Nhat Hanh said, “If in our daily life we can smile…not only we, but everyone will profit from it. This is the most basic kind of peace work.” Today, share a smile with at least three people, knowing that your smile contributes to peace. Louise Hay says, “Praise yourself as much as you can…The love in our lives begins with us…Loving yourself will help heal this planet.” Write down 10 things that you appreciate about yourself. Read aloud what you have written. According to Peter McWilliams, “Nonviolence toward the self is caring for oneself. It is what the Greeks call reverence for the self.” Real caring is not just what we say, but what we do. Make a list of at least five ways that you can take better care of yourself. Practice at least one today. Author Wayne Dyer writes about the impact that our beliefs have on our daily lives. Today, believe that you have all the resources to move your life in the direction of peace. Be aware of simple demonstrations of peaceful responses you receive. To simplify is to invite peacefulness. Think of three ways you can simplify your life and put at least one of them into practice today. Knowledge strengthens your conviction and deepens your wisdom and understanding. 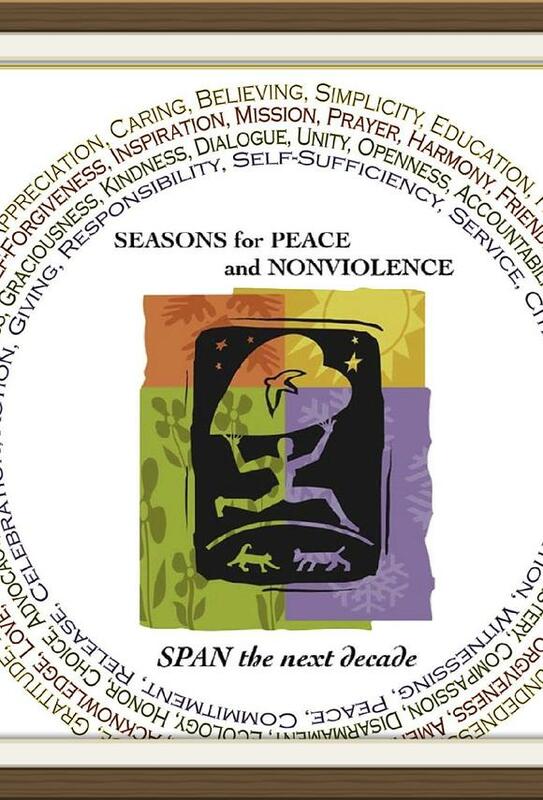 Learn about the power of nonviolence by educating yourself. Read or watch on a subject that relates to nonviolence. Learn about human rights, diversity, ecology, history, and politics, forgiveness, spirituality, peace studies, biographies of heroes and more. We are in the midst of the 64 day Season of Nonviolence. This was launched by the United Nations in 1998 and extends from the anniversary date of the death of Mohandas K. Gandhi on January 30 to the anniversary date of the death of the Rev. Dr. Martin Luther King, Jr. on April 4. This season serves for all of us as a wake up call, a time to not just recognize, but to be that force for change in a violent and destructive world. But we can burn off those feelings, those judgments. We can burn off those thoughts by introducing for ourselves the presence of Jesus and seek to live our lives by his gospel of unconditional love. We can burn off that negativity and one by one as we set before us a new direction and new intention for good we can change the world. We can set forth at this very moment to change the course our world is on. 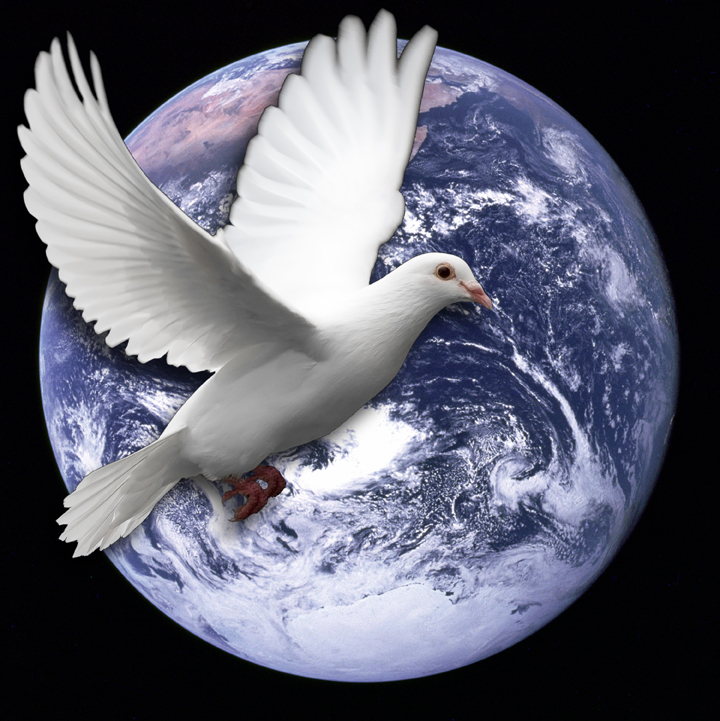 “Let there be peace on earth and let it begin with me.” Many of us sing this song each week in church, but do we really mean what it says? Do we live up to the meaning of these lyrics and move forward from the pew to the outside world to really be that change in the world we desire to see? Now is the appointed time to start. Now is the appointed time to make a commitment to make business as usual one of love, peace, joy and abundance. Now is the appointed time to see God’s light shining for all.